The karna of Goddess Sathi is said to have fallen here. 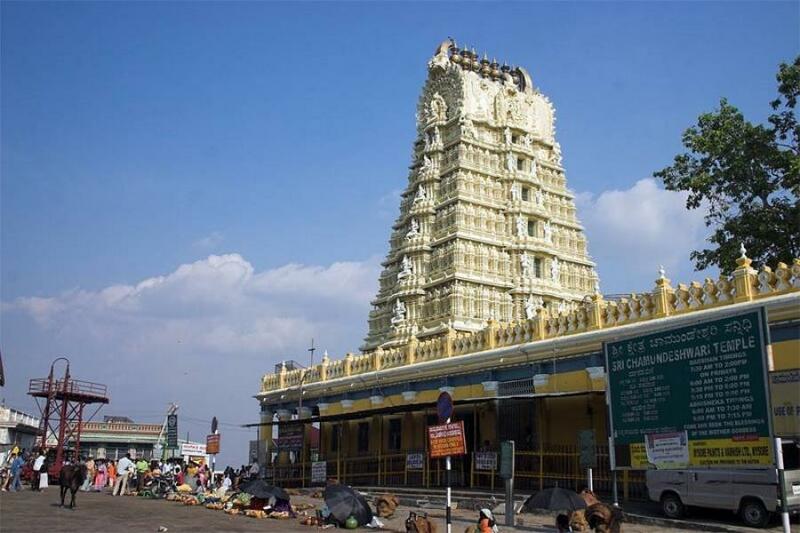 The Shakthi Peeth is the Chamundeswari temple on the Chamunda hills. Some believe the famous Mookambika temple at Kollur is the Shakthi Peeth.